The CMO Club in thought leadership with Signal conducted a study with CMOs and Heads of Marketing from The CMO Club and others within diverse industries to identify a list of what marketer attributes are a must in today’s data driven world. Analyzing responses from CMOs and heads of marketing across a broad range of B2C and B2B brands, The CMO Club and Signal found that more than three quarters of marketers are responding to surging demand for highly personalized customer experiences by taking steps to implement identity-driven marketing efforts that are contextually relevant and consistent throughout all touchpoints. Marketing innovators of tomorrow must extend their mindset beyond traditional creative thinking to develop a deep understanding of how to leverage technology and data, said the report, which included both a survey and insights culled from in-depth interviews with senior marketing leaders from major brands including ASOS, Barnes & Noble, Food Lion, La Quinta, Lee Jeans, Sky Betting & Gaming and Starbucks. “Strategic thinking” and “proven innovation in other fields,” among other characteristics, are also vital to building and executing effective 1:1 customer engagement strategies, experts added. Based on the research, The CMO Club and Signal found that more than half of CMOs are struggling to fill expertise gaps in personalization technologies; expertise in measurement and analytics, multi-touch attribution and media mix optimization is also in short supply, according to 48.9% of respondents. 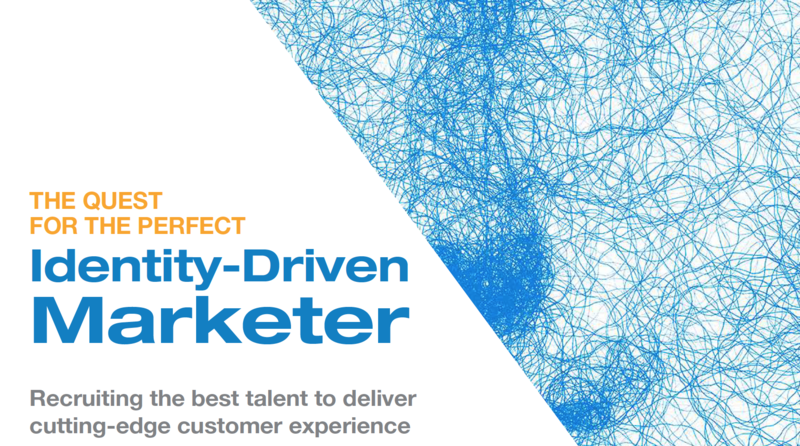 READ MORE in depth insights and specific case studies from our from our CMO Club members in what’s really needed in the search for the perfect identity driven marketer.